Shadow and light ~ balancing! The 'Yin ~ Yang' Pendant is entirely hand fabricated. A metal sculpture showing how opposites are connected, interrelated and compliment each other. The 'Yin~Yang' Pendant is comprised of a diamond burred sterlium background highlighted by a solid, mirror finished sterlium foreground. 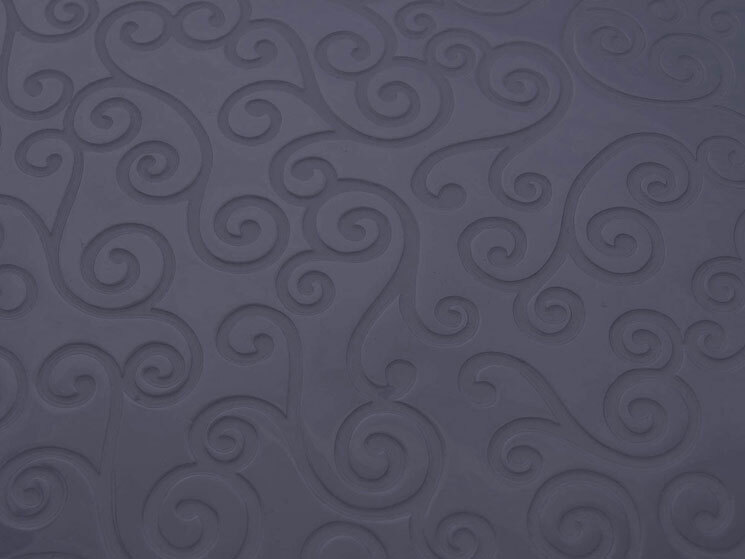 Sterlium is a new sterling silver alloy which resists tarnish. The 'Yin~Yang' Pendant measures approximately 24 mm in diameter and weighs a total of 5.6 grams. The 'Yin~Yang' pendant arrives suspended on an 18" rubber cord finished with sterling silver end caps and a secure lobster clasp. 'Yin ~ Yang' Pendant & Cord $149. All of the jewelry showcased in the 'one-of-a-kind' collection are artist originals. 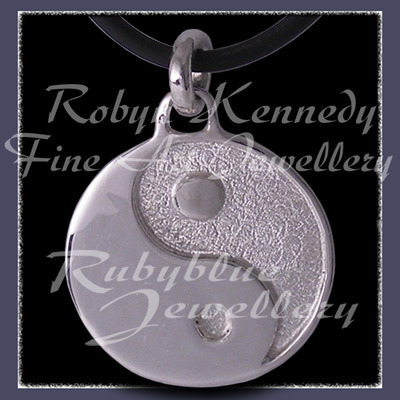 To purchase the 'Yin ~ Yang' Pendant without using PayPal, please contact us by e-mail or phone at Rubyblue Jewellery.